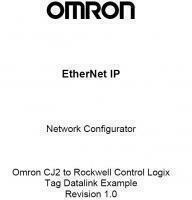 Example of how to connect an Omron CJ2 PLC to a Rockwell ControlLogix PLC using Ethernet/IP Tag Datalink (Implicit Messaging). I (PMCR) did not author this document. 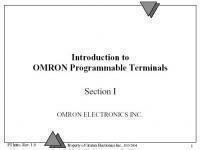 Small tutorial on how to use the Omron Move Digit instruction. 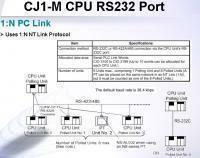 This quickstart shows how to set up an NS terminal and a CJ2 when connecting both over internet by Ethernet/IP protocol. 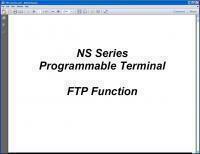 Tutorial on how to use Data Block and Recipes with NS terminasl. 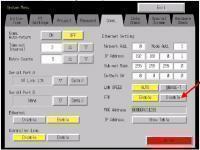 This zip file contains 3 images that show basic settings to get the NS-Series Touchscreen to communicate with the PLC and also allow pass-through downloading to the Touchscreen. 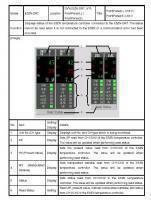 Describes methods of establishing a project creating lamps and switches data displays and bargraphs using he DOS software NTSS V2.33 for NT Touchscreens. Introduction and examples of controlling motion and using interrupts with the CJ1M CPU. 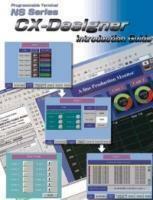 Provides several utilities plus one awesome powerpoint presentation on how to use the DOS based MiniLSS for SP & SK PLCs. 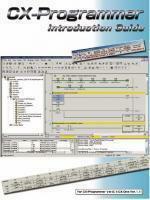 Describes the method of changing the numeric and text values of numeral displays and string displays in Omron NT touchscreens.